Bandwidth is essentially the Internet usage of your site. Every Internet connection has limited bandwidth, or connection to the Internet. If you have many users trying to download a large amount of information at the same time, it’ll require a lot of bandwidth space, which will cause the Internet connection to be very slow. Imagine visiting an Internet page is like trying to drain a pool. If you only have a tiny hose (or small bandwidth capacity), then it will take a long time. If you’re using a huge drain pipe (or large bandwidth), draining the pool would be almost instantaneous. When you have a large bandwidth, you can quickly receive all the necessary information to load an Internet page; but, if you have a small bandwidth, it’ll take a very long time to receive data your capacity and speed to receive is very limited. If you site uses a lot of bandwidth, your site may load very slowly. In order to fix this issue, you’ll need to increase your bandwidth, or decrease your bandwidth usage by reducing the amount of data stored on your site. The Bandwidth application allows you to view the bandwidth usage of your site. 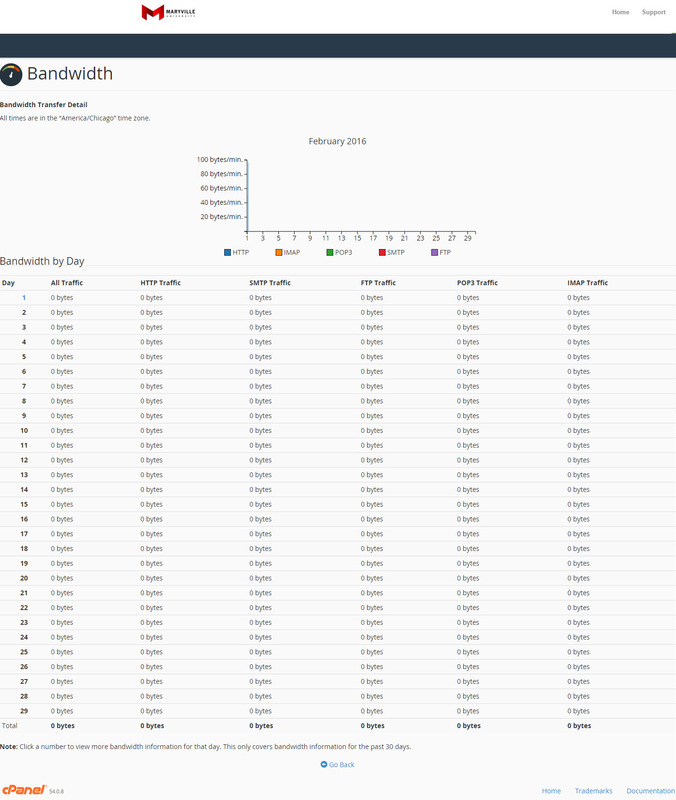 The current month’s bandwidth usage appears, as well as your total bandwidth usage. Follow these steps to view your bandwidth. 1. From your cPanel, in the Metrics section, click Bandwidth. 2. Your site’s overall usage appears. 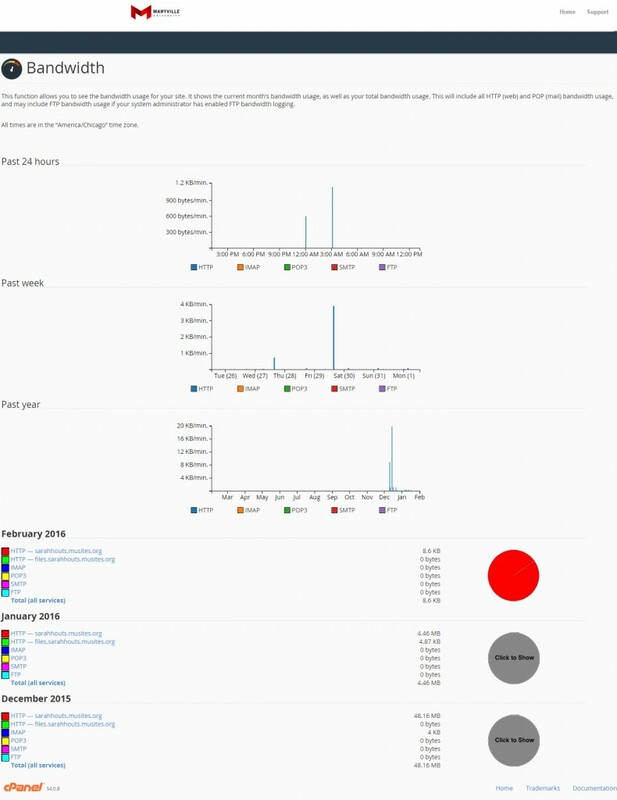 Click a pie graph to view the stats for a specific month. 3. The stats for that month appear on a daily basis.